He gave the world another world. A string of excited, fugitive, miscellaneous pleasures is not happiness; happiness resides in imaginative reflection and judgment, when the picture of ones life, or of human life, as it truly has been or is, satisfies the will, and is gladly accepted. New Updates! (4/22/2019) We've been working really hard on completing our membership system so you can submit quotes and keep track of them. Once this is complete in the coming weeks there will be a lot more quotes by George Santayana and other authors. We've also changed the sorting on the site so you now see the latest George Santayana quotes first. 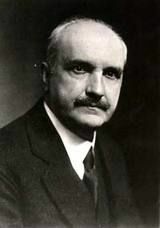 Our goal is to have the best George Santayana quotes on the web!